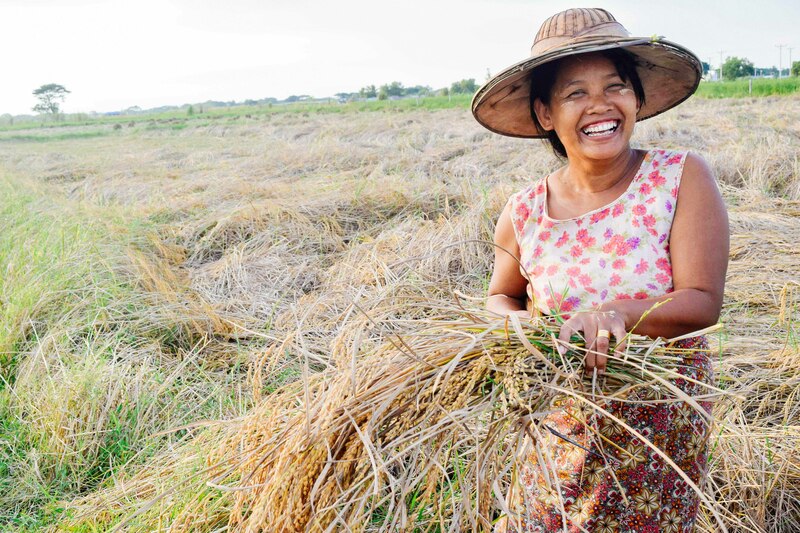 Photo: A local woman is happy to be empowered by her seasonal employment at our rice farm. Today we are happy to report that the 6th annual harvest at our Myanmar rice farm took place in late November and its success encouraged our children and our native team. The crop yielded approximately 12 tons of rice at the 14 acre farm. Heavy rains during the harvest affected our yield and we were not able to see as bountiful a yield as we have in some previous years. Even so, we are very thankful for a good crop that will provide a key staple in the diets of 120 orphans and the staff in our 6 orphan homes. 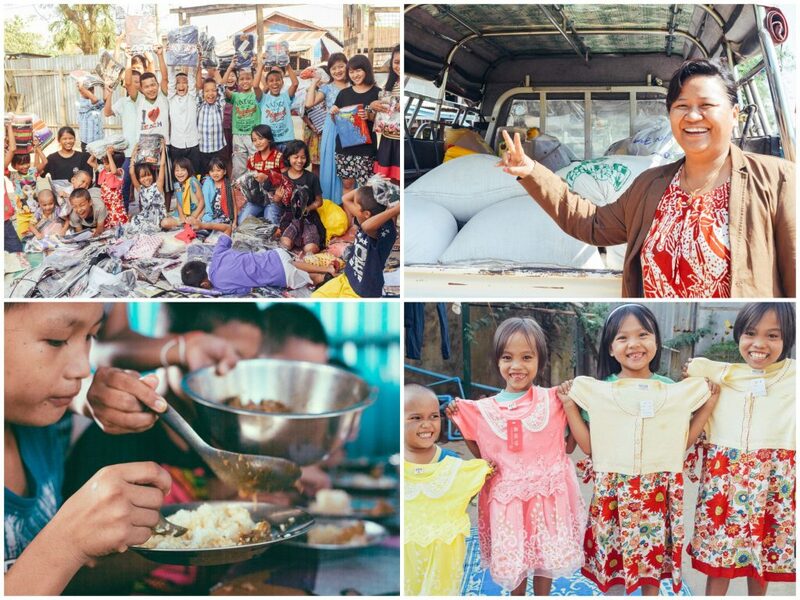 The amount we harvested in November will provide abundant servings of rice for the children’s meals, which is a great blessing to their health. This dietary staple provides the children with fast and instant energy, regulation of digestion, fortification of the immune system, and an essential source of vitamin B1. Another benefit to the growing this staple grain is that it stores well over the year in our orphan home pantries. After the raw bails of paddy are harvested it is set out to dry and then the husks are removed during the milling process, leaving about 8.4 tons of edible rice from the 12-ton harvest. We do not sell this grain, we store it for our own consumption, but if we were to go to the market and buy rice to stock our orphan home pantries at this quantity, it would cost us approximately $5,000 for the year. So we consider that figure a direct profit in terms of savings we realize in not having to buy this staple food for our orphans. Aside from this significant value of the rice grain harvested after it is dried and milled, part of the yield produces byproducts referred to as “broken rice,” “rice husks,” “rice bran,” and “hay straw” all suitable for various types of livestock and poultry feed. This year’s harvest will profit our native team an estimated $1,200 from the sale of these rice byproducts. To keep these amounts in perspective relative to the local economy, remember that the average monthly income of a Myanmar citizen is around $148 per month. In other business pursuits, our orphan home directors have been tending to a gardening project on our main campus to supplement the diets of the orphans with fresh organic vegetables, such as chilies, okra, pumpkin (pumpkin leaves are a popular item in many local dishes), and mustard greens which are harvested daily or as needed. Along with providing the children with quality nutrition support, the garden project also saves our directors precious funds they would have otherwise spent on these vegetables at the market. Our home rental project continues, with tenants expected to pay our native team $720 in rent this year. They are still seeking to generate some profits from small-scale piggery projects as well. With your generous support, all 6 orphan home directors need to raise $500 each to construct their backyard piggeries and purchase a mother pig and 3-5 piglets. The pigs will be sold in the market once they reach maturity, thus providing additional funds for our Myanmar programs. In other good news, all 120 of our orphans (ages 3-18), who are in the 1st through 10th grades, completed their monthly exams in December with good scores. They diligently prepared for these exams by studying their native Burmese language, English, geography, history, math, science, biology, and physics during this past semester at the different local schools where they are enrolled. Two of our children were recognized by the government for their excellence in education following their exams, three of our older students will graduate with bachelor college degrees in February, and another one of our older students wants to continue his education and complete a master’s degree after graduation. We are very proud of all of our orphans for their dedication to their studies and their great accomplishments, and we are thankful for your faithful support which makes their education possible.